If you are selling tangible products, you may start storing them in your garage or extra room in your house. As the business grows, your employees now handle the inventory and manage the space for storing your products and supplies. Then you start thinking of warehouse management for your small business. Managing inventory in a product supply chain can be a headache. Your goal is to streamline the goods and get them out of the door as fast as you can, as inventory sitting in your warehouse can cost your business dearly in terms of cash flow. Rental space, insurance, taxes, safety measures can all contribute to the expense sheet in warehouse management. You need to make sure that the manual process of receiving, handling, storing, packaging, moving and supervising the materials is streamlined in order to get a magnified picture of the inventory. Balancing these costs can be a challenge, as inventory moves in real-time and in real-scenarios. Managing the movement of inventory becomes even more difficult and complicated if you are using multiple channels of distribution for your products. 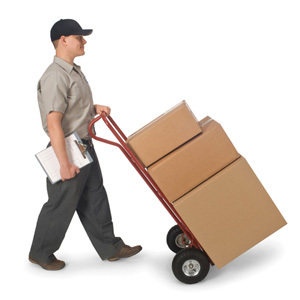 Out of other responsibilities of supervising the deliveries and pick-ups, the distribution of necessary stock to required places at the right time is of prime importance. This step is often considered as the foundation of efficient Warehouse Management, because inventory not sent on time results in efforts wasted. Warehouse Management processes also include the internal movement and storage of materials within the warehouse and cross docking. This is termed as Stock Movement, wherein the primary warehouse transfers the goods from inbound to outbound. Both Internal Warehouse Movement and Cross-docking requires a streamlined approach for effective inventory management from point of origin to point of sale. In Warehouse Management, it is all about choosing the right strategy for inventory flow. The two main strategies used for this purpose are Put Away Strategy and Picking Strategy. The “Put Away” strategy includes random put away or bulk storage. The Picking Strategy, on the other hand, includes LIFO (last-in-first-out), FIFO (first-in-first-out), or SLED (Shelf life expiration date). The SLED is most commonly used for FMCG (fast moving consumer goods) products. These entire strategies offer but just one benefit: rationalizing the inventory. Apart from implying these strategies for managing material flow, incorporating a solid inventory management system can also help keep the costs down. Gone are the days when the role of Warehouse Managers was limited to inventory storage and delivery. Today the term warehouse management also includes accounting systems, transportation management and order manufacturing. Since this becomes part of the sales process itself, it is pertinent that the entries have to be recorded. Automating these entries hence becomes the need of the hour. Warehouse Management is a broad and expansive process, and the most important step in the product supply chain process. It has been observed that automating the information using a Warehouse Management System, or more yet, an all-encompassing Sales Management System results in higher levels of accuracy and reduced red-tape cases. This in turn allows more accurate information of demand and availability of inventory, thus ensuring improved customer service.